I’m still crazy about overnight oats. I don’t think this love affair will ever end. I’m having them for breakfast nearly every morning and I love them more than ever. Here’s a really simple recipe (how complicated can overnight oats really get?) for a delicious breakfast which takes a classic flavour combination – peaches and vanilla cream – and turns it into an overnight oats breakfast sensation. 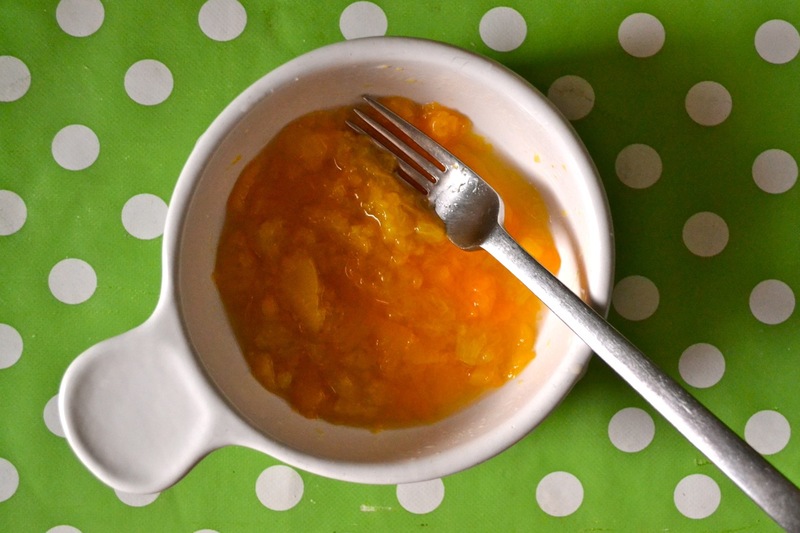 The peaches (you can use fresh or tinned) provide all the sweetness you’d ever want, there’s no need to add any sugar. 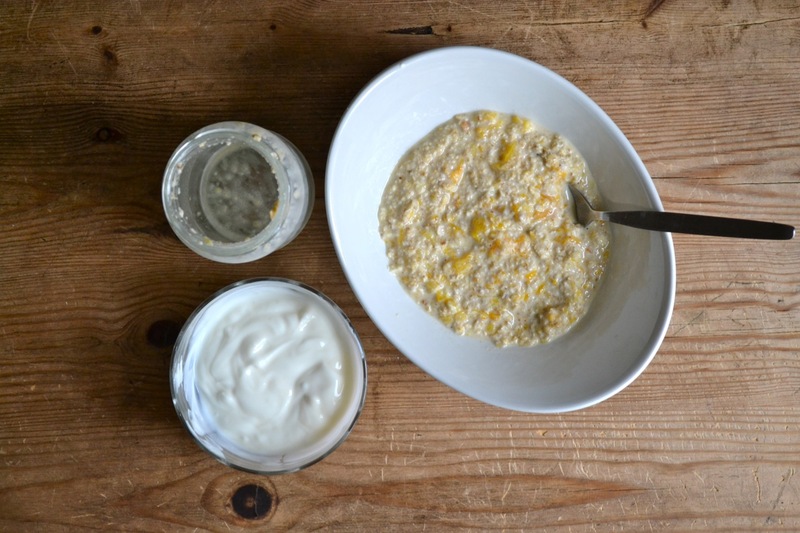 By adding vanilla extract to greek yoghurt, you end up with a mock cream to serve with your yummy, peachy oats. It’s like dessert for breakfast. No, really. 1/2 cup (125ml) milk – or other liquid such as soya milk, almond milk, coconut milk etc. 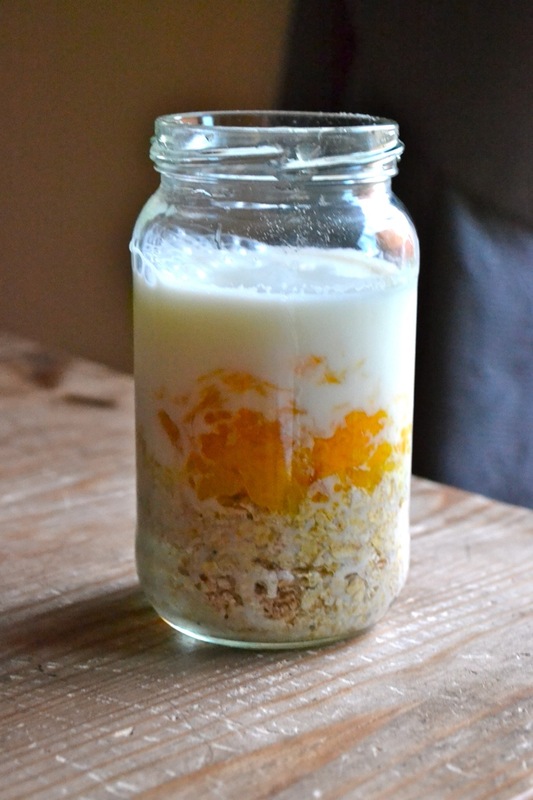 In a jar (or any other container with an air tight lid) combine the oats, milk and peaches with a pinch of salt. Shake well to combine, and place in the fridge overnight. 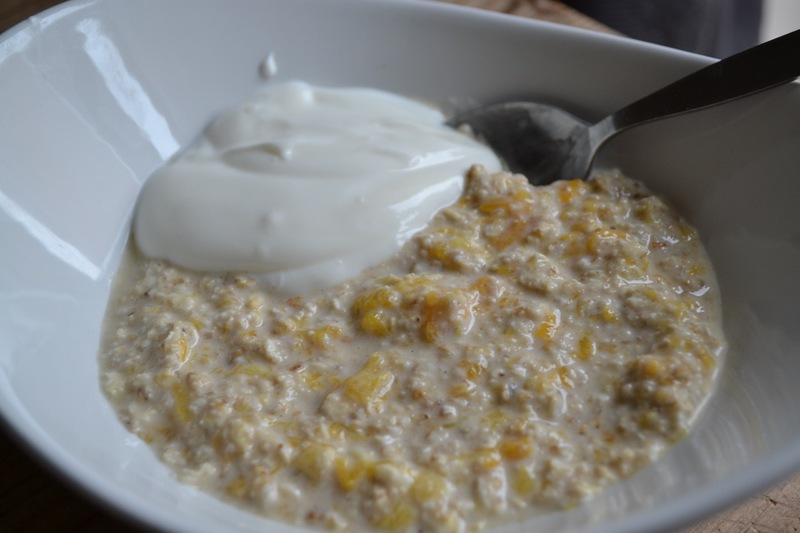 The next morning, combine the greek yoghurt with the vanilla extract and serve with your oats. So, I keep reading about these overnight oat extravaganzas and what I want to know is: what’s the texture like?